Need a high tech looking safe or super secure display case for your next suspense thriller or great heist? Check out this rental with all of its cool perks. Stands 62.25 inches tall. The base is 30 inches wide. The diameter of the metallic cylinder is 16.5 inches. 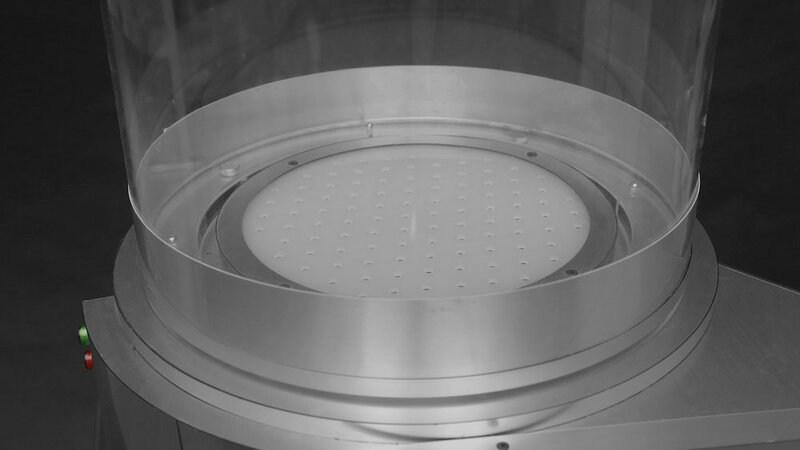 The diameter of the clear acrylic case is 15 inches. The height inside the case is 16.25 inches. The clear acrylic case slides up and down by mechanical means. Unit plugs into any outlet. Monitor is capable of displaying anything from an HDMI source. Rigged for fog inside the acrylic case. Working LED lights inside the clear acrylic case.